Advice about creating a more inclusive teaching and learning environment. You will find the information you need to help you talk to your students, gain a better understanding of their individual learning requirements and plan any adaptations needed. 1. Students with ASD are individuals first, with their own unique personality. For an effective working relationship, general knowledge about ASD must be combined with specific knowledge of the individual student. 2. It is essential that individuals with ASD are treated with respect for their way of thinking and behaving, and that ‘normal’ value bases and conformity are not enforced upon them. Behaviour may well be unusual, but is it really inappropriate? Do not request a change of behaviour unless it is necessary for the sake of the student or others. 3.Teaching and instructions must be direct, explicit and not vague. Most people excel at ‘indirect learning’ and can therefore easily pick up new things, particularly social skills. The ASD student may not have the ability to learn indirectly. 4. Similarly, be aware that the ASD student may well not be able to transfer skills/knowledge to a similar situation, e.g. practical experience of one field trip maybe difficult to apply to another situation or field trip. 5. Be clear about boundaries and what your role entails. 6. Make rules very clear. This includes social situations where the student wants to know what to do and what not to do. Avoid the student being put in an embarrassing situation - tell them when behaviour is acceptable or unacceptable and importantly, explain why. 7. Use very precise, clear language. Avoid sarcasm, irony, jokes and the use of facial expressions instead of words. Provide written instructions and glossaries to ensure understanding. 8. Some students may experience sensory sensitivity. Fluorescent lights, smells and noises can all be sources of huge distraction. Be aware that these may cause anxiety or even physical pain. 9. Be aware that the student may be on medication to control such things as depression, compulsive symptoms and ritualistic behaviour. Side effects of medication may cause tiredness and affect concentration. 10. Make teaching session objectives clear at the start and recap to keep the student’s attention. 11. Visual learning materials are particularly valuable, especially charts, lists, schedules, representations, etc. 12. When setting assignments, encourage the student to discuss assignment outlines with you, to ensure understanding, if they would find it helpful. A student with ASD may focus on a specific aspect of the assignment they are interested in rather than the required task. 13. Changes to routines, timetables and assessment tasks can cause confusion as structure and organisation are very important to many students with ASD. Changes should be clearly communicated, ideally in writing, and it helps to explain why the change is needed. 14. Promote a classroom culture that is inclusive and where students are encouraged to support each other’s strengths and weaknesses. Group work can be particularly daunting for some students with ASD. Concentrate on the good qualities and talents – the student with ASD can be a huge asset to the student group, but may need help finding a group or integrating into the group initially. The individual and their group may continue to need supervision and coaching with some aspects of group work going forward. 15. Be very aware that ASD students are open to exploitation as they do not always understand other people’s motives. 1. If we have a question we want to ask in a lecture, it is very difficult to concentrate on what is being said. The question dominates our thoughts. Some lecturers allow students to text questions to them during the lecture and respond periodically. Others use Twitter. This is a brilliant solution – texting the questions gets it out of our heads and we know we will get a response. 2. Sometimes we just can’t attend lectures, not because we don’t want to but because of the effects of the ADHD. If our mood is very down, or maybe very up, we simply can’t attend. Please make it easy for us to access the lecture notes when we miss lectures. Videoing the lecture or creating a podcast would be even better. 3. Please don’t tell us to put our mobile phones away. We may be using them to take notes. 4. The hyperactivity part of ADHD often translates into feelings of internal restlessness for adults. Most of us have grown out of climbing trees or charging around the playground! Sometimes these feelings become unmanageable and we need to move around. 5. Fiddling with things, doodling, clicking pen tops, shaking legs - these are all part of ADHD and help us maintain concentration. 6. It takes a huge effort for us to be structured and organised. Last minute cancellations and swapping rooms can cause the structure we have created to collapse and set us right back with our studying. Please only do this if absolutely necessary and recognise the difficulties it causes. 7. Reading is a problem for most of us because it demands so much effort to focus. Guided reading lists would help us with this. 8. Unlike some of the other developmental disorders, ADHD isn’t just confined to certain areas of our lives. In fact one of the criteria for diagnosis is that the effects are across multiple settings. It can take a monumental effort to stop our lives descending into chaos, and sometimes we can’t sustain that effort. 9. Most people with a diagnosis of ADHD take medication, and this can be very effective. Sometimes it lasts for four hours, sometimes eight, and sometimes we can forget to take it. 10. We have a tendency to forget things. Please make instructions clear, and also make it clear that they are important. 11. As structure is so hard for us, help in structuring our work would be invaluable. A framework to guide our written assignments and clear criteria would be very much appreciated. 12. We miss information; we forget information; we misinterpret information. We know everyone does at times but we habitually do it. We also have big problems with time management. It would be very helpful if you would schedule some time in for us to meet you individually and regularly. 13. We are very impulsive and often don’t stop to think before we speak or act. We also get easily bored and frustrated. If we offend, it is not usually intentional. Afterwards we can feel appalled by what we have said or done. Please be slow to take offence and quick to forget. 1. Handwriting is usually a major difficulty and sometimes typing is also affected. Please ensure hand outs are available wherever possible and be aware that the student may have a note taker accompanying them in lectures etc. 2. Bumps, spills, breaks etc. are common and this may affect practical work. This needs to be taken into consideration when planning activities. 3. Speech may be unclear and there may be difficulties pronouncing some words. Be aware that this can raise anxiety levels in oral work including presentations. 4. Some people with dyspraxia have difficulty with organising the content and sequence of their language. The student should not be put on the spot in discussions and should also be given sufficient time to formulate their responses. 6. Memory is usually poor, especially short-term memory, and there is a tendency to be disorganised and ‘cluttered’. Sum up frequently, recap important information, give deadline reminders, explain where a lecture fits into an overall topic, give a framework to follow in an assignment etc. 7. Poor sequencing can cause problems with activities such as maths, reading, spelling, structuring assignments – be sensitive when marking. 8. Poor relocating, i.e. looking quickly and effectively from one object to another is a common difficulty. This can affect copying from the board or a book and so allow plenty of time. 9. There can be difficulty in distinguishing sounds from background noise and the student may be over-sensitive to noise and light. Be aware that this can increase stress levels and anxiety and decrease concentration. 10. There is a tendency for students with DCD to become stressed, depressed and anxious easily. They are also prone to low self-esteem. Be sensitive to this when giving feedback etc. 2. Provide precise information in clear language – spoken and written. Provide an overview of a lecture at the beginning and sum up at the end. 3. Allow additional time for the processing of information, including in oral work. 4. Aim to ensure that deadlines coincide as little as possible. 5. Ensure hand-outs are available prior to the lecture so that the student can familiarise themselves with the text. 6. Give lists of specialist words with meanings. 7. If you need to draw attention to spelling and grammar, do this sensitively. 8. Be aware of pace in lectures and encourage the use of a recording device. 9. Review the reading load and guide learners to the most important sections that need to be read. Inform students of reading lists well in advance. Provide as much information in advance of lectures and seminars as possible, the CSW may need to prepare specific terminology. 2. Even if someone is wearing hearing aids it doesn't mean they can hear you perfectly. Ask if they need to lip-read. 3. Make sure you have face-to-face contact with the person you are talking to. Try not to move around the room too much or turn away from the audience. 4. Get the listener's attention before you start speaking. 5. Speak clearly but not too slowly, and don't exaggerate your lip movements – this can make it harder to lip-read. Allow time adjustments for the student to adjust to unfamiliar lip patterns. 6. Ensure that the room is well lit and all students will be able to see your face clearly. Try not to stand in front of windows which will put your face in shadow. 7. Use natural facial expressions and gestures. 8. Don't shout. It can be uncomfortable for hearing aid users and it looks aggressive. 9. If someone doesn't understand what you've said, don't keep repeating it. Try saying it in a different way instead. 10. Write unfamiliar names or terminology which arise during the session on a board for clarification. 11. Provide any verbal information regarding in-class tasks and assignments in writing. 12. Films and DVDs – if the DVD is not subtitled you may be required to obtain a written transcription prior to teaching sessions. 13. Articles for discussion in seminars etc. should be forwarded to all students ahead of time. 14. Be aware that background noise can be very distracting for students with hearing loss. Consider discussing ground rules with your teaching group for group work in seminars etc. 15. Where learning outcomes permit, do not mark down on spelling, punctuation, grammar or structure as some hearing impaired students, particularly pre-lingually deafened will have written language difficulties. If possible arrange the group so that they can see each other, a BSL user may wish to sit on the end of a horseshoe arrangement with their note-taker sitting beside them and their CSW sitting opposite. Residual noise can be very distracting – be aware of this if you split the class into smaller group discussions. Comments and questions from the group should be repeated by the lecturer to ensure that no information is missed. 17. In lectures - use a microphone where one is available and try to avoid turning away from the group when speaking. 18. Some students may use a converser radio aid which allows for amplification of speech. The radio aid can be pointed at the speaker or worn by the speaker, please wear the radio aid if asked. Some students may use a loop system, if available, if this is the case please use the microphone as this activates the loop system. 1. In terms of study, mental health conditions can often manifest in decreasing concentration and memory, fatigue, worry, lack of engagement and avoidance and altered self-perception. Sometimes physical symptoms may also be experienced – some of these, such as sweating or irritability, may be visible. With the right support and/or treatment individuals can and do recover even when they have experienced severe mental health difficulties. People also often learn to cope with their symptoms and thus are able to employ strategies to maintain good health. 2. Social situations may be particularly difficult for an individual experiencing mental health illness. Therefore, group work and meetings may be particularly challenging as social interaction and development of peer relationships may sometimes, but not always, be difficult. Group arrangements in particular may require formal allocation to ensure that the student isn’t ‘left out’. A higher degree of informal supervision than might otherwise be expected may be necessary. 3. Students with mental health conditions may find presentations more challenging than their peers. Occasionally, their condition may prevent participation. Staff should discuss what is required with the student and be prepared to consider reasonable adjustments, providing learning outcomes can be maintained. Reasonable adjustments might be to allow the student to present to just the tutor, or a small audience, to present first or last if that would help. An alternative piece of work could be considered, providing learning outcomes permit. 4. Students with mental health conditions may, at times, need to go out during sessions, be unable to attend full contact hours, or find early morning sessions difficult. This may be due to additional fatigue or anxiety caused by their illness, or because of the effect of medication. Disability Services encourages students who have conditions which affect their attendance to discuss this with their personal tutor to decide whether it is appropriate to ask an enabler to take notes in their absence. 5. It is helpful to be as accommodating as possible in relation to arranging one-to-one meeting times. It is also helpful to provide written information which the individual can take away with them. 1. It may take some students with mobility impairments longer to move around campus. Avoid last minute room changes wherever possible and if unavoidable give the student good notice. Consider the impacts of timetabling locations - can you avoid making a student move across campus in-between sessions? If not, the student should not be disadvantaged due to their late arrival. 2. If a personal helper or enabler is present, make sure all communication remains directed at the student and not through the third party, unless at the specific wish of the student. 3. Handwriting and dexterity-focused tasks (such as manual handling etc) are often a major difficulty. Be aware that the student may have a note taker or mobility assistant accompanying them in lectures. 4. Be aware of inaccessible physical environments, and not just the obvious ones! Just because a lecture theatre is on the ground floor or has lift access doesn’t necessarily mean that your academic office or seminar room is. Where appropriate rearrange locations. Think about the wider potential difficulties; can the door easily be opened? Is there enough room for a student to sit or place their chair comfortably? 5. Physical fatigue can set in easily, and may be worse at certain times of the day due to the effects of medication. This may need to be considered for field trips and other physical activities. You may also want to consider if there is a preferable time in the day or week to meet with the student for tutorials or whether you need to allow additional time for these sessions. Offer ‘time outs’ if appropriate. 6. There may be occasions when students with mobility impairments cannot attend sessions. We always advise that students notify the relevant tutors to let them know that this is the case. Make sure the student has access to the content that they missed and rearrange tutorials or seminars if necessary. 7. If the student is a wheelchair user or has a mobility aid, remain seated at the same level of the student (nobody likes a crick in the neck). Do not lean on the wheelchair or aid as it is likely to form part of the student’s personal space. 8. If the student has a communication aid it is important to let them use this as a matter of course and not interrupt. In turn you can help by speaking clearly and naturally to avoid exaggerated, slow, or loud speech. 9. Be sure to discuss all field trips and their itineraries in good time with the student. Adaptions, modifications or additional support may have to be arranged. Contact Disability Services as early as possible with questions or for advice. 10. In order to help with any concentration or accessibility difficulties, please ensure that hand-outs and academic content are available electronically and wherever possible provided one clear working day in advance. Ref: Gardiner, V. & Anwar, N. (2001) Providing learning support for students with mobility impairments undertaking fieldwork and related activities (Cheltenham: Geography Discipline Network). 1. Awareness - it's helpful for you to do visual awareness training, contact Disability Services, and familiarise yourself with Meeting the specific requirements of blind and partially sighted students studying in Higher Education in the UK. Sometimes ‘standard’ size text (minimum 12 font size, Arial) will suffice, specific colour paper may be required. Large print text of a certain font size and text type (e.g. : 18 font, Arial, bold), specific colour paper maybe needed. Via electronic format only (can include information on the Portal, disc/memory stick, email attachment etc.) as the student cannot access print due to the extent of visual loss – with electronic text the student can use screen reading equipment or magnification software. Braille – often also supplemented by electronic format and assistive software. 3. Help and support – most visually impaired students will be supported with equipment, software and personal support (an enabler) via the Disabled Students’ Allowance. 4. Accessing teaching and related materials - visually impaired students must be able to access the same teaching materials as their sighted peers. Please ensure that all teaching and related materials are prepared, available or sent in electronic format (plain text Word documents are best) several days in advance. This provision allows the student and/or their enabler to convert the electronic version to suit individual requirements (i.e. enlarged text, Braille etc.) using their specialist equipment supplied by the Disabled Students’ Allowance or equipment in the library. 5. PDFs - existing materials which are in PDF format are sometimes but not always accessible to screen readers (e.g. PDF format with selectable text can sometimes be accessible, whereas a PDF image will not be). The format will need to be checked and if necessary converted by the student’s enabler – this needs to be provided by teaching staff at least a week in advance. 6. Hard copies of materials not available electronically, and diagrams and graphs, will need to be scanned or converted to tactile format by the student’s enabler using suitable software – this will need to be provided by teaching staff at least a week in advance. 7. Assistive technology – the student should have their own specialised equipment and software, however, if assistive technology is required during course sessions e.g. in computer labs, staff should liaise with Disability Services to ensure this is installed or alternative arrangements made. 8. Reading in advance – please provide the student with course and module handbooks and reading lists in advance of the start of the academic year. The latter is to allow the student and library staff to obtain books in Braille or electronic format from the publishers, or to arrange for purchase and conversion. 9. Guided reading – students with visual impairments often take far longer to access text than their sighted peers. Where possible, you should alert them to the most appropriate texts, priority order for reading the texts and relevant chapters or sections within the texts. If necessary, ensure introductions take place in a way to allow identification of name to a voice. Verbalise any information written, drawn or shown on the board or during a presentation. Check with the student to see if they require alternative or electronic feedback – comments should be clearly referenced so the student can locate them within the original text. Discuss the issues associated with group work and presentations with the student to determine suitable methods of working and reasonable adjustments needed. Be aware that Library Special Services can assist with obtaining books in alternative formats, provision of specialised scanning equipment etc. and are on hand to help staff and students reach solutions. Be prepared to advise on and be empathetic to requests for extenuating circumstances. It often takes visually impaired students longer to produce work due to converting text, obtaining text in accessible formats, managing enablers, and inability to ‘scan read’. They may also find they suffer with tired eyes or headaches limiting reading and study. Be aware of hazards in the classroom. If present, be aware that a guide dog is a working animal and should not be approached or petted without the owner’s permission. Ask Disability Services for advice and guidance if needed. Arrange seating so that the individual is seated with the light behind them, so the light is shining on your face. If you think you need to guide the individual, ask them if they would like you to assist, offer to take their arm and describe the route and any hazards. Ask the student what their requirements are and what you can do to help, they know best! 1. Not all students within this category will experience study-related difficulties due to their condition. They may be managing their condition and any resulting symptoms effectively. 2. You may find that students with conditions within this category are subject to escalation of their conditions or ‘flare ups’ and this can sometimes lead to periods of absence and/or poor performance. In such cases, students may need assistance with catching up on missed work, permission for their enabler (if they have one) to attend and take notes during a short period of absence/ad hoc absences, or staff intervention to arrange a case conference or review meeting to consider support/mechanisms for academic progression. 3. Students within this category may find themselves dealing with on-going issues with fatigue and/or pain. They may also be taking medication for their condition which has side effects. Fatigue, pain and effects of medication can lead to difficulties with concentration and sustaining study at a level commensurate with academic ability. 4. 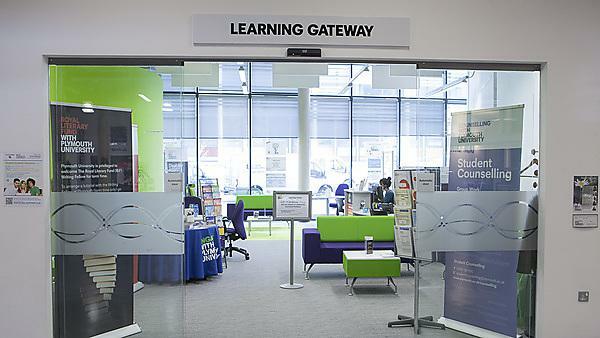 Where relevant, students should be informed of extenuating circumstances processes and signposted to other services such as Learning Development and Disability Services who may be able to give advice, or arrange for appropriate support. 5. Conditions which cause pain and fatigue on a long term basis, can also sometimes lead to anxiety, stress and depression. Suggested referral to the GP or student counselling might be an option if this becomes an issue. 6. Personal tutors have a useful role to play in terms of signposting, monitoring absence and academic progression. Review meetings and case conferences can often help to find solutions such as suspending study for a period of recuperation or changing to a part time route to reduce workload. Faculty Registrars can assist with the academic regulations to help determine possibilities. 7. Students with conditions within this category may need consideration in terms of fieldwork. Please ensure that students are fully aware of the challenges of any fieldwork, the modes of transport involved and the physical activity probable. Please get in touch with Disability Services at an early opportunity if support is likely to be required. 1. Not all students within this category will experience study related difficulties due to their condition. They may be managing their condition and any resulting symptoms effectively. 3. Students within this category may find themselves dealing with on-going issues with fatigue and/or pain. They may also be taking medication for their condition which has side effects. Fatigue, pain and effects of medication can lead to concentration difficulties and ability to sustain study at a level commensurate with academic ability. Where relevant, students should be informed of extenuating circumstances processes and signposted to other services such as Learning Development and Disability Services who may be able to give advice, or arrange for appropriate support. 4. Conditions which cause pain and fatigue on a long term basis can also sometimes lead to anxiety, stress and depression. Suggested referral to the GP or Student Counselling might be an option if this becomes an issue. 5. Personal tutors have a useful role to play in terms of signposting, monitoring absence and academic progression. Review meetings and case conferences can often help to find solutions such as suspending study for a period of recuperation or changing to a part time route to reduce workload. Faculty Registrars can assist with the academic regulations to help determine possibilities. 6. Students with conditions within this category may need consideration in terms of fieldwork. Please ensure that students are fully aware of the challenges of any fieldwork, the modes of transport involved and the physical activity probable. Please consult with Disability Services at an early opportunity if support is likely to be required.